Chapter 35 Even though Pip has not seen his sister lately or even thought of her, he feels a strong emptiness now that she is gone. Perhaps he should seek revenge on her attacker, he thinks. (He has always believed it to be Orlick.) Back home now, Pip checks into the Blue Boar and starts to walk toward the funeral. He remembers the bad times with Mrs Joe, his sister, and her Tickler (the wooden stick she rapped him on the head with). 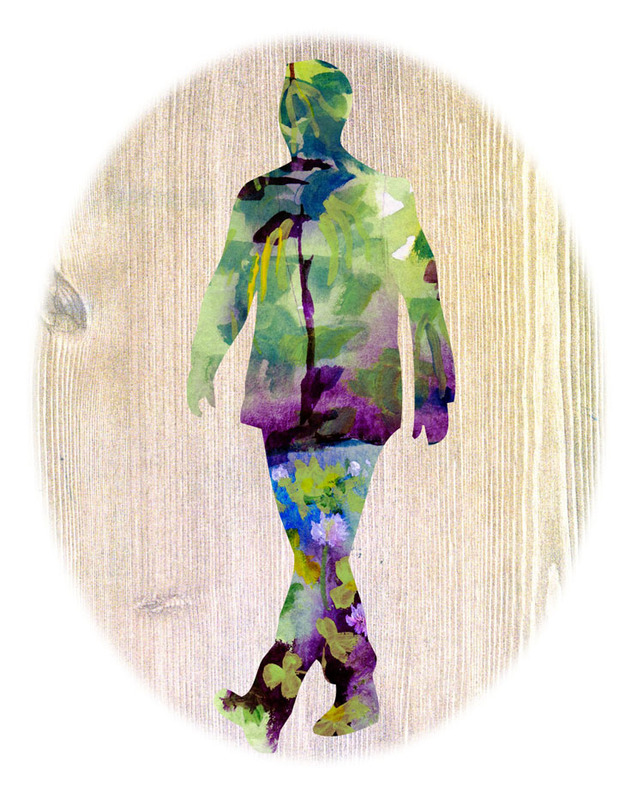 As he walks on, in the sunshine in the beans and clover, he realizes his ill feelings toward her have softened. 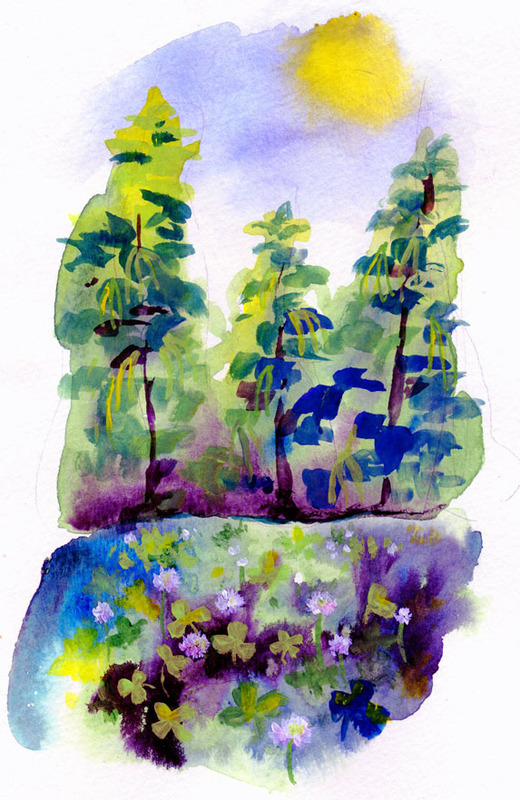 I first painted a pretty little watercolor landscape with clover in the foreground and beans sprouting up beyond. I then scanned this and cut it into the shape of a walking young man. It came out nicely! Well, my plan to do four posts a week this year is not panning out. Oh well, it’s still fun, so why rush it!